I absolutely loved the chemistry between Rook and Dante. Their back and forth with the love-hate thing they have going on was just great. I couldn't put the story down – or stop listening as is the case with an audiobook. I loved that while we watched their relationship evolve, we also had this really interesting plot going on that sort of pushed the romance to the backseat at times, but that was okay because I wanted to know what was going to happen next and WHY it was all happening. A perfect combination of mystery, romance, and heat. As usual, Greg Tremblay knocked it out of the park. I loved the accent he put on Dante's parts. Just perfect. Tremblay always does a fantastic job and he didn't disappoint! 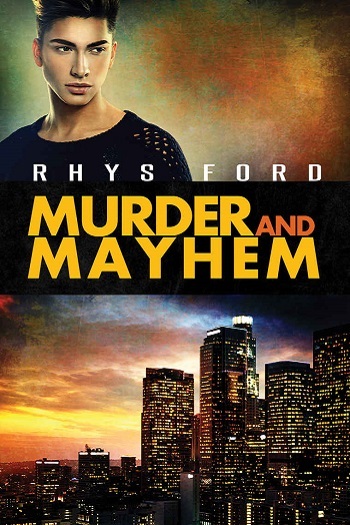 Reviewers on the Wicked Reads Review Team were provided a free copy of Murder and Mayhem (Murder and Mayhem #1) by Rhys Ford, narrated by Greg Tremblay to read or listen to and review.